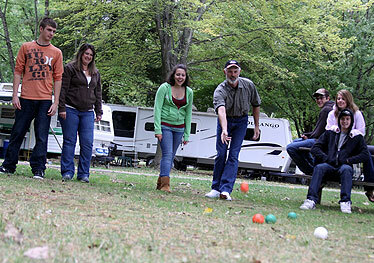 What do you get when you cross the old-fashioned game of marbles with the Bocce Ball? Murbles! The family-friendly, play anywhere, make-your-own-rules, outdoor game. This portable game is one of our favorites because you can play it in the backyard, the park, the beach (the balls float), on your next camping trip or your family reunion. Best of all, this game is Made in the USA! Murbles came about way back in 1979 when Murray, the creator, was challenged to a game of horsehoes against his retired neighbor. For two years they played, and for two years Murray lost. Murray decided his only way to compete, was to create his own game. That’s how Murbles was born. 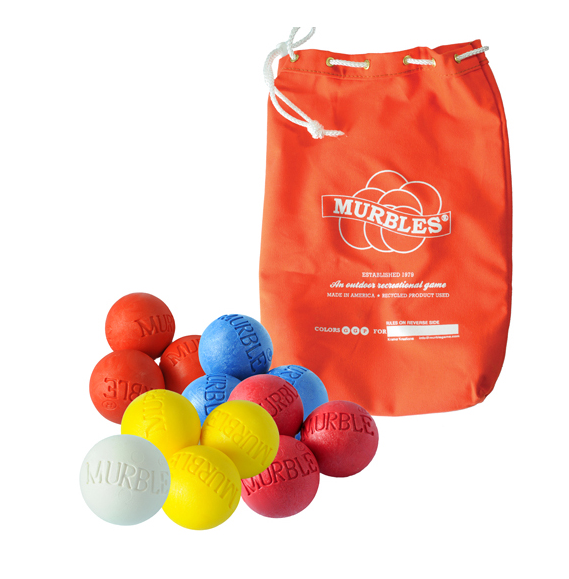 Murbles – the family game you can play anywhere! Game play is quite simple. The game controller tosses a white ball anywhere he chooses. Players take turns tossing their balls as close to the white ball as possible. Points are awarded to whoever gets the closest. Obstacles such as tree roots, waves at the beach, lawn furniture, and even mailboxes are fun ways to make the game more challenging. Murbles are proudly created and manufactured in the US. They come with a 20 year warranty and can be played by kids age 5 to 105. What more could you ask for in a family game? Murbles and other great family games can be found at jmcremps.com. You can also find this and other made in the USA toys, gifts, and more in the Made in the USA section. You’d be surprised how many great products are now made right here at home!